The most convenient way to get here from Narita Airport/Haneda Airport is to catch the shuttle bus. Many flights arrive late into Narita and normally, you would spend the night in Tokyo. But if you get the shuttle bus take you to us, then you can be on the slopes in the morning! Note: We try and cater for last minute bookings but to ensure a chance for a seat please book at least 1 week in advance! Make sure you book your return shuttle too. We offer a daily shuttle bus to get you from Narita Airport/Haneda Airport to Nozawa Onsen, and from Nozawa Onsen to Tokyo, Narita and Haneda. We also offer an inter-resort shuttle, to and from a number of other ski locations. 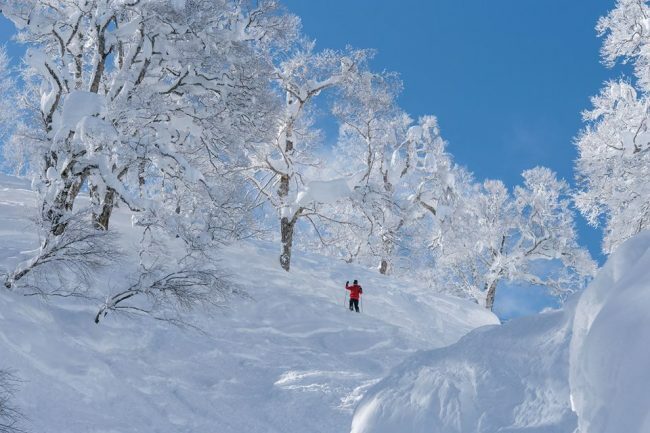 For guests who have booked accommodation with Nozawa Holidays, we can simply put Shuttle charge onto your account. Other guests please pay at time of booking. We will send an invoice. Note; Some shuttle times only run on certain dates outside of Peak Season. Please see each departure below for dates. For payments, please enter card details here. The shuttle stops twice for breaks along the way and also to split passenger groups traveling to different resorts. Arrival: Please allow a minimum of 60minutes if arriving at terminal 2 or 75 minutes if arriving at terminal 1 or 3. Departure: Please allow 150 minutes -international flight- or 75 minutes-domestic flight between bus arrival and flight departure. Buses can only wait 10-15 minutes for delayed flights. If no flight details are given at time of booking, buses will depart on time. If passengers who miss their bus connection due to flight have 2 options. Travel free of charge on a standby basis on the next available shuttle. They will not be guranteed a seat until check in closes as full fare paying passengers have priority over standby passengers. Or purchase a new ticket (guranteeing a seat and no re-found on their missed bus). Note: Booking number is optional. Please provide one if you booked accommodation through us. Which property are you staying at? Hotel's name in Tokyo/Narita Airport? # of People (5 years and over)? # of infants/toddlers (0-4 years)? * Free of charge for children aged between 0 to 4 years, but no seats are guaranteed. Passenger list - please list all passenger names, kids ages and titles (mr, mrs, miss, etc). * Notice of cancellation must reach us before 16:00 at Japan time. Cancellation requests received after 16:00 are deemed to be received the following day. Cancellation may be made via email to stay@nozawaholidays.com or by calling +81 (0)50 5532 6026 between 8:15am and 5pm at Japan time. Please note: If you require shuttles for both arrival and departure, please fill in the form a second time for the return trip. Remember bookings must be 7 days prior to travel. Arrival: Please allow a minimum of 60 minutes if arriving at the international terminal or 75 minutes if arriving at terminal 1 or 2. Departure: Please allow 150 minutes -international flight- or 75 minutes-domestic flight between bus arrival and flight departure. Buses can only wait 10-15 minutes for delayed flights. If passengers who miss their bus connection due to flight have 2 options. Travel free of charge on the next available shuttle. They will not be guranteed a seat until check in closes as full fare paying passengers have priority over standby passengers. Or purchase a new ticket (guranteeing a seat and no re-found on their missed bus). Hotel's name in Tokyo/Haneda Airport? Hotel's name at Shiga Kogen? Hotel's name at Myoko Kogen? On late arrival at Ski Resort all guests are dropped off at their accommodation.